Drip Coffee Makers - We Review The Best of 2019! Most of the coffee drinkers worldwide just grab a cup of their favorite coffee from their favorite place on the way to work. You take it to-go, drinking it as you travel. Doesn’t even matter how it tastes. In the name of speed, some sacrifice everything. The other option is having a Keurig, or Nespresso, or other similar machine that works with capsules. That one doesn’t taste too much better either, but at least you make it at home. However, true coffee lovers actually shrug at the thought of either of the aforementioned situations. You actually appreciate a good, well-prepared cup of coffee. Your tool of choice might be a French press. It might be a glass pour over brewer. Regardless of which one it is, you take your time preparing it, and enjoy every sip of it. 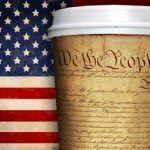 Which kind of coffee you enjoy, is completely up to you. Do you go the easy way, or make it yourself, sometimes losing valuable time, that’s completely your choice. Today we’ll be talking about an option that most of us already are aware of – drip coffee makers. Many of us know something of these handy dandy devices. Aside from owning your own burr coffee grinder, they’re the other most powerful way to take control of your coffee situation at home and save yourself some money. Drip coffee makers are extremely convenient, and great for making coffee quickly without sacrificing quality. In this article, we dive deeper into the topic, to come up with some some options that we think home coffee makers will love. Hopefully this information helps you on your quest to a better cup of coffee. Let us know in the comments if it does! 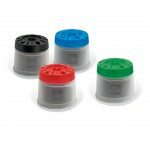 Drip Coffee Brewers – What Are They? 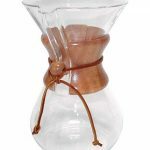 Here now are some of our favorite selections of drip coffee brewers, including top picks from Amazon, Wayfair, and Walmart. Drip coffee makers improve the coffee routine for just about everyone. We love them because they’re generally inexpensive, easy to use, and they make great coffee. Drip coffee makers only require that you supply water and beans. Everything else is taken care of by the machine. But is that coffee actually good? Well, some of today’s drip coffee makers will filter your water, grind your beans, make the coffee while controlling temperature, make the coffee bloom, and they’ll even keep your coffee hot until you’re ready to drink it. However, there are a lot of models out there. Some of them are good, some of them are far from it. To hopefully make things easier, we’ve made a list for you. Below you will find many of our favourite excellent drip coffee makers. They’re all excellent in their own regard, and whichever you choose to go for, you can’t go wrong. Last but not least, we’ll mention a few features that are worth your money, so you know what you’re buying. Let’s go. As we mentioned, all of these coffee makers are excellent. Some come with a feature set that suits you, others may not. That’s why we have so many of them. All you need to do is just go through the list below, look at the features that are worth considering, and order. Simple as that. We kick things off with the Technivorm Moccamaster. It’s one of the most durable drip coffee makers out there, and is really built like a tank. There’s a five year warranty to back it up, too. There’s an aluminum body with an industrial look, and the ten-cup glass carafe just adds to that industrial look. Even though Technivorm is a Dutch brand, they do have service centers worldwide, so that shouldn’t be a concern. There’s a copper boiling element that makes sure the water is at the right temperature. It shuts off once brewing is done. The separate hot plate element will keep your coffee hot for around 100 minutes after you’re done brewing it. You can choose between stopping the flow to pour a quick cup, or restricting the flow and slow the brewing time. All things considered, this is a fantastic machine. It’s a touch more expensive than most others on our list, but the price is well worth it. Our runner up is significantly cheaper than the Moccamaster, but is still an excellent drip coffee maker. The Ninja Hot & Cold brew is one of the most versatile drip coffee makers out there. It can actually make any drink you can think of. It has a built-in milk frother, which adds to its versatility. If you’re not convinced, you can choose from six brew sizes and five brew styles. Based on whether you’re making a regular pot of coffee or a flat white, you can choose from any of the combinations. If you’re after a versatile, do-it-all machine, this is the one to get. It can do just about anything, and it sure makes an amazing cup of coffee. Until we’re done with the top 3, we thought we might include a somewhat-budget oriented option. The PerfecTemp has a fairly accessible price tag, while still being an excellent machine. Unlike the previous models, this one will get the coffee hot enough without burning it. It’s made of stainless steel and has a 14-cup glass carafe. If you don’t need that much, you can make it brew one to four cups. One nifty feature it has is the scale indicator light. Some of us don’t really remember when we’ve last cleaned our coffee makers. The PerfecTemp will let you know. There’s also a charcoal water filter as well as a bold brew option to enhance the taste. And, of course, we’ve saved the best for last. There’s an option that lets you program brewing for up to 24 hours in advance. If you want to wake up to hot coffee already made, this is as good as it gets. If you find yourself constantly in a hurry in the morning, the Velocity might be the ideal drip coffee maker for you. When you add ground and water, you only need to press a single button for the Velocity to do its magic. Three minutes later, you get a fresh pot of coffee, ten cups of it. The Velocity, even though priced below many of its competitors on the list, comes with a commercial-style spray head that completely soaks the grounds. This significantly improves the taste. You get a stainless steel water thank that’s always hot, which also makes it always ready to brew. If you don’t want it that way, there’s a “vacation” switch you can flip. As we mentioned, if you’re somewhat limited by time (and budget), the Bunn NHS Velocity may very well one of the best drip coffee makers for you. The Bonavita brings a feature that’s not very common with other brewers – a pre-infusion setting. This allows your coffee to bloom before it is brewed, which somewhat mimics the pour over method. Another excellent feature is the water temperature. This is one of the few drip coffee makers that actually keeps the water between 195 and 205 degrees Fahrenheit, which is the perfect temperature for optimal brewing. The hot plate of the Bonavita will stay on for around 40 minutes. Combine this with the eight-cup carafe made of stainless steel, and you can be sure that your coffee will be hot, yet not burnt, for a good while. The Bonavita is an excellent drip coffee maker. It has all the features of a higher end one, while still costing significantly less, and the pre-infusion setting is the cherry on top. If you have a somewhat limited budget, do take a look at it. You won’t regret it. The Bonavita we just spoke about maintains perfect water temperature, but you can’t really control it. Well, the Brazen Plus will let you do that too. The temperature range is wider than the standard, which makes it very versatile for various altitudes. There’s another nifty feature with the Brazen Plus. It lets you customize the presoak time, from 15 seconds to four minutes. Without boring you with the science of it, you’ll get a better, cleaner cup of coffee which tastes a lot better. The head is a large, shower-style head, and you also have pulsed water flow. The cherry on top is the flat filter basket, which makes sure all grounds are thoroughly saturated. This is another one of those drip coffee makers that let you program them, so you can wake up to a fresh, hot cup of coffee. The carafe is a heavy-duty one, made of stainless steal. It’ll surely keep your coffee warm, but there’s no bottom burner to scorch the flavor. All things considered, this is an excellent brewer that lets you take control over your coffee in the morning. Plus, it’s very stylish and compact! 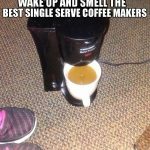 There are some of us that just forget to refill our coffee maker. Or we do refill it, to end up spilling water all over our counters since we aren’t really awake before our first coffee, are we? The Brew Express BEC-110BS solves that issue. No refillable water tank here. Instead, it hooks up to your water line. It only pulls water when needed. There’s an infrared sensor to prevent overflows, and allow you to pour mid-brew. However, glass carafes or mugs are out of the question here. Even though a bit pricey, this is a sturdy machine. You can use it for both personal and commercial use. Whether you brew just a single cup, a half carafe, or a full carafe, the Brew Express does it all. Water is kept at a consistent brewing temperature, which practically removes any waiting time between cycles. If you want to keep things simple, with minimal effort, this might be one of the best drip coffee makers on the market today. To ensure the best possible coffee quality, use an inline water filter, such as the one you’d use for refrigerator ice makers. You’ll get excellent coffee through and through. There has to be at least one product that’s best suited for the extremely budget-oriented consumer, and this one by Mr. Coffee fits the bill. Even though its main goal is to not be expensive, it also looks very sleek. The brushed chrome accents and function lights, as well as the digital display, make it look very premium. Feature-wise, it comes with things such as brew strength selection, as well as a water filtration system. This makes sure the coffee tastes good and rich. You’ll also find some advanced features. Not what we’d expect at this price range, but a welcome addition nevertheless. Brewing can be programmed up to 24 hours in advance using the Delay Brew setting. There’s a two-hour automatic shut off, as well as a Fresh Brew Timer which shows how long your finished coffee was on the warming plate. If you find it hard to justify spending hundreds of dollars on the more expensive drip coffee makers, yet want one that looks good and has useful features, the Mr. Coffee CJX31 is the one to go for. Even though we’re discussing drip coffee makers, some of us just want an espresso, or a latte every once in a while. Getting two separate machines is expensive and takes up valuable counter space, but that’s where the DeLonghi BCO430 comes in. On the left side, you’ll find a complete system with a portafilter and a swivel jet frother. The 40 oz water tank has plenty of water for a couple of cups of coffee, too. There’s even a cup warmer on the top. On the right side, you get a ten-cup drip coffee maker. It’s programmed to shut off after 30 minutes, but your coffee will stay hot. The warming function keeps it that way for two hours without scorching it. To refill water and coffee grounds, there’s a front access. This makes things very simple, and you won’t need to move the machine at all. All things considered, the DeLonghi may very well be the most versatile machine on our list. Last but not least on our list of drip coffee makers, we have the Breville Grind Control. An excellent machine from a reputable brand. The Grind Control gives you the choice between a whole carafe, or a single serving. The 7.5″ clearance lets you choose between a regular mug and a travel mug. There are even seven size option when you’re in single cup mode. There’s a bit more versatility here as well. You can choose from 8 brew strength settings, and you can grind fresh beans just before brewing. If you want to use grounds from a bag, you can switch to the pre-ground setting. The Breville comes with an LCD screen that displays real-time information. You can see grind size and time, water level, as well as brewing time and strength selection. The programmable auto-start grinds beans just how you like them, and heats the water to optimal brewing temperature. This is an excellent choice for people who want a product by a reputable brand, with plenty of features and options. If you’ve gone through our list, you see that there are quite a lot of options. Some just make drip coffee, some make a plethora of drinks. Some cost just a bit, others cost a fortune. At the end of the day, it’s your budget. Which ones do you like best? What features are you looking for with drip coffee makers? All you need to do is answer the “what I need” question, and order!